You got a new landing page up on the website a month ago. Can’t find it drawing a lot of qualified web traffic? Need to optimize the elements on the page to boost the traffic conversion as well? How about tweaking the page structure, design and probably the content in tow? Landing pages, like an ad copy, are attempts to draw attention of the end-users and keep them glued to a campaign. They aim at generating a response from the immediate market, or at least, make a reasonable impact. If your landing page is not fulfilling the purpose it was set out to achieve, here are a few easy and quick tips to give a push to the conversion from these “targeted” pages. 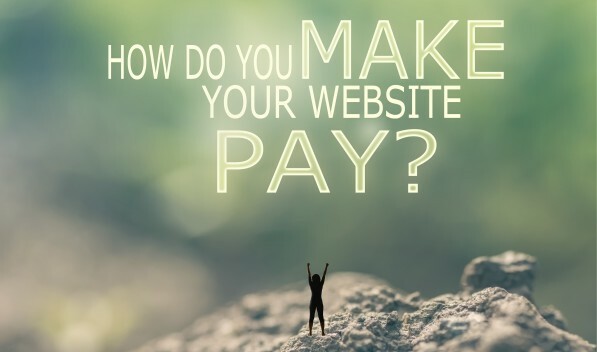 Web design companies in Aberdeen swear by the outcomes of these tips. An important aspect of branding is to match the logo of the business with the design theme for all the pages. However, if you want your landing page to have a lasting impact on your visitors, you need to select the colour and theme wisely. Each colour has a specific role to play in the design. For instance, Blue instils a sense of trust and security in the minds of the viewer/ reader. In the same manner, red is a more energizing colour that reflects urgency and alertness. Think before you select the landing page! It needs to go with the theme of the page or the mood of the content. Time-Sensitive Calls to Action are Magical! Landing pages are all about quality content and well-placed calls to action. However, time-sensitive calls to action bring urgency and get a reaction from the users in less time. Calls to action such as “Limited Supply”, “Click to Buy the Final Pair” and so on are very effective. Some of us might find them to be too obvious or not-so-intelligent; however, they have been known to perform really well on landing pages! Where and What Is Distracting your Visitors? So, your landing page has an attractive look to it? How about the conversion? The best web design company will emphasize on the fact that a landing page is a combination of an incredibly charming design and the right placement of content. If a lot of time and effort has been invested in the page design, there are chances that you have overlooked the distractions on it. Many design gimmicks can result in distracting your users to unimportant sections of the page; hence, drawing them away from the calls to action. Heatmap tracking can be used to the benefit of the marketers. An in-depth dissection and analysis of the heatmap of the landing page lets you understand what and where are your visitors concentrating on the landing pages. If you need them to explore the important sections first and foremost and act on the website, then heatmap tracking is something you just can’t miss! Its consideration helps in better design and development of a landing page for better results. Pop-ups and CTAs such as scroll ads have been seen as irritants on a website. However, if one carefully works on them and gives them a creative edge, you can get more leads than you know from these sources. An understanding of the art of creating a pop-up, using the right buttons, the right language and adding an “incentive” factor to it, ensures their performance. Spend more time in planning your pop-ups and CTAs in a creative and innovative way. The idea of funny images, captivating taglines, a new offer, discount scheme or even a witty “hello!” makes your users wait and respond. For every change made to the website, run a parallel test. You cannot just be adding and tweaking the website design or content elements and not test its performance. Lastly, a good set of rules of a web design company in Aberdeen must include an effective Meta description, alt tags and header tags, social media integration, and appropriate density of relevant keywords among other factors worth consideration for a successful landing page campaign.